Two Nigerian men, identified as Adekunle Adeniyi, 50, and Faleke Fijabi, 52, have been arrested for allegedly defrauding a Lagos-based businessman, Sunday Adeleke, of the sum of N700,000. The Lagos State police command described the two suspects as members of a syndicate said they had been defrauding their victims in Ikorodu on the pretext they could double their money for them and have been operating from a shrine located inside a forest in Imota, on the Ikorodu-Ijebu Ode expressway. 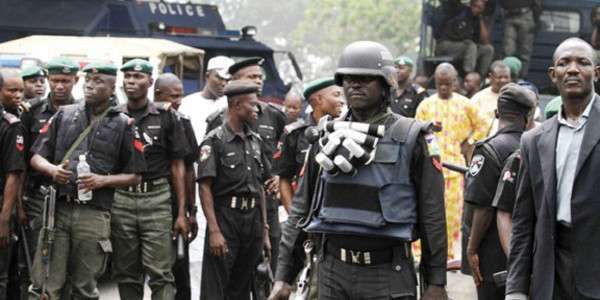 The Lagos State Commissioner of Police, Imohimi Edgal, who confirmed the arrest, said that the command received information from a member of the public that some persons had been sighted going from one compound to another at Imota-Ikorodu, promising unsuspecting members of the public they had the capacity to double money. Edgal said that based on the strength of the information, operatives from the Federal Special Anti-Robbery Squad (FSARS ) at Ikorodu mobilized to Imota and apprehended the suspects. His words, “During interrogation, the suspects confessed to the crime. They also took the team to their shrine inside the forest at Imota where four treasure boxes containing some charms were recovered. Previous Article Previous post: Fake Soldier Spots Army Officers On Patrol… See What Happened Next!! !